That’s the motto of the Zachary and Elizabeth Fisher House Foundation. The Fisher House Foundation was established in 1993, two years after the first two Fisher Houses opened – one at the National Naval Medical Center in Bethesda, Maryland, and one at the former Walter Reed Army Medical Center in Washington, D.C. Today, there are 71 Fisher Houses open across the nation on 24 military installations and at 29 VA medical centers. Nearly 300,000 Families have benefited from Fisher House programs since 1990, saving more than $320 million in travel and lodging costs. The Fisher House on Fort Hood, located just across the road from Carl R. Darnall Army Medical Center, is managed by Theresa Johnson. Johnson has previously been the manager of the Fisher House at Tripler Army Medical Center in Hawaii from 2007 until she came to the Fort Hood house. Before that, she started as a volunteer at the Fort Campbell, Kentucky, Fisher House in 2006. 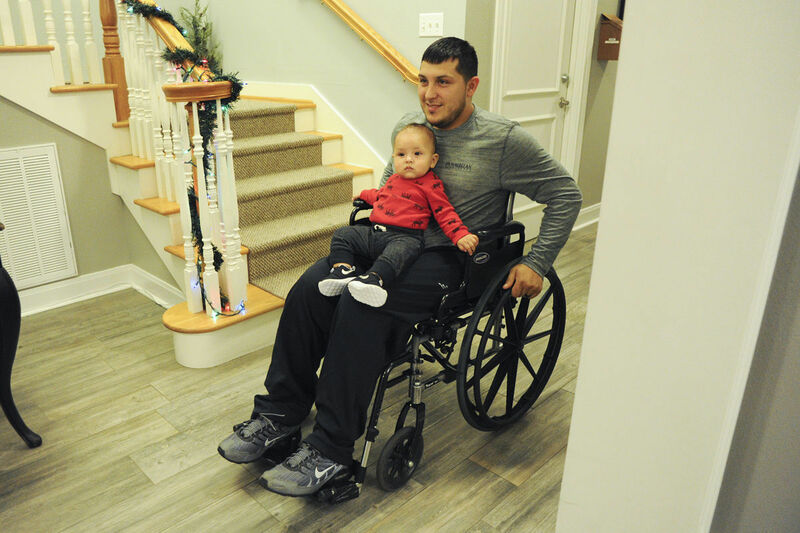 The foundation also helps Families of ill or injured service members with travel costs using donated frequent flyer miles and points through the Fisher House’s Hero Miles program. If a service member is sent to a hospital or medical center without a Fisher House nearby, the foundation has a program to cover the costs of staying in a hotel. While airline points for an individual would eventually expire, once they’re donated to the Hero Miles program, they no longer have an expiration date. Johnson knows firsthand what it feels like to be in the shoes of the guests she greets at the Fisher House each week. A few years ago, her son, a young sergeant stationed in Germany at the time, was in a serious car accident. It was the Fisher House Foundation that helped get her a flight from Hawaii to Germany to be with her son. Eventually, he was moved to Walter Reed, and she stayed nearby in the Fisher House until she had to fly back to Hawaii for work. “Every time he had surgery, we were able to use the Hero Miles program to fly out (to Walter Reed) to be with him,” Theresa said. The Hero Miles program and being able to stay at a Fisher House relieved the financial burden of having to travel thousands of miles away from home to take care of her son while he recovered. In March, Staff Sgt. Ioane Titialli, a Reservist on active-duty orders, had a complete knee replacement at CRDAMC. His wife, Pauline, flew down from their home outside of Colorado Springs, Colorado, to help him with the recovery process. As the couple stayed in the Fisher House, Ioane’s nurses and physical therapists came by each day for appointments, which would have been more difficult if they were staying in a regular hotel room or at Ioane’s room in the barracks, the couple said. As anyone who has taken care of an ill or injured loved one knows, there’s a lot of stress added into the process. For Pauline, staying at the Fisher House, with CRDAMC and her husband’s doctors just a short walk or even shorter drive away, much of that stress is put at ease. “I don’t have to worry about anything. I just have to worry about taking care of him,” she said. Before being assigned to the Warrior Transition Unit at Fort Hood, the Titiallis had never heard of the Fisher House. It was one of Ioane’s case workers who told him about the house when Ioane mentioned his wife was going to fly down from Colorado for a week to help him recover. And once Pauline’s week-long stay was extended another week, it wasn’t a problem accommodating that at the Fisher House. Since then, the couple has started telling everyone they know with a military connection about the Fisher House and how it benefits military Families. “It’s very helpful for our Soldiers. The Soldier doesn’t have to pay for this – this is free,” he said, emphasizing the financial burden that often comes along with long hospital stays away from home. The Fisher House aims to relieve that added burden. Ioane added that the process to reserve room at the house and check in was very smooth. “It makes our life so much easier,” he said. Many military Families that end up staying at the Fisher House or using one of its programs have never heard of the organization before that instance. Some have previously been in situations where they could have benefitted from the programs, but just didn’t know about it, Johnson said. Any CRDAMC patient with a military ID card and access to military benefits – including spouses and children of service members and retirees – is eligible to use the Fisher House’s services. Even if the patient is sent to another hospital nearby, Families can stay at the Fisher House if they need it, Johnson said. 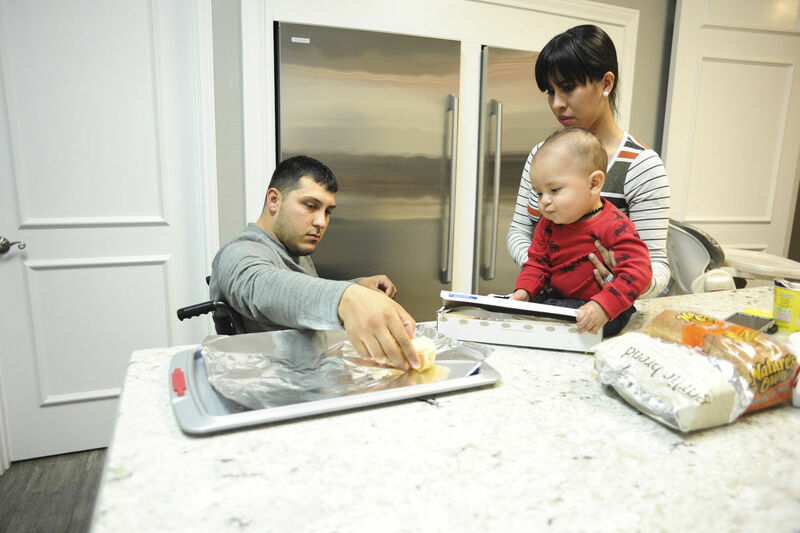 Families stay at a Fisher House for a variety of reasons – whether their patient is a car accident victim, wounded in a combat zone, injured in a training accident, a mother and premature baby, or receiving care for a major medical issue and needing surgery or physical rehabilitation. There is also no time limit for how long a Family can stay – they are welcome to stay as long as their patient is receiving care. Occasionally, a Fisher House is booked full or a patient is sent to a medical center without a Fisher House nearby. The foundation has programs for these situations that provide hotel vouchers for the Family members.